A farmer's day never ends. From sunrise to long after the sunsets there's more to do. 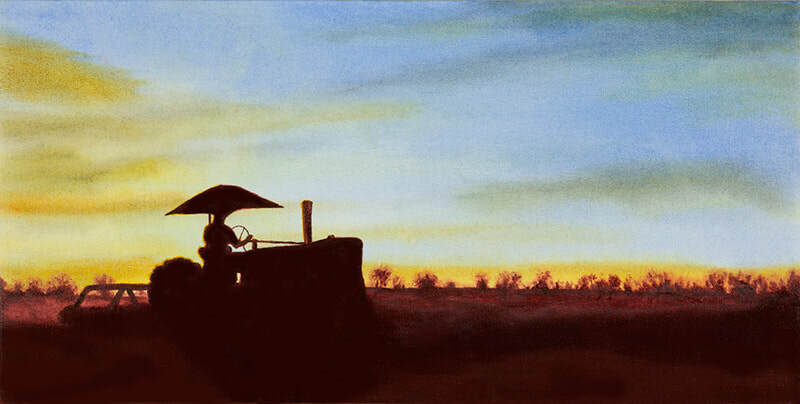 This painting show a framer on an old tractor cultivating a field of soybeans.